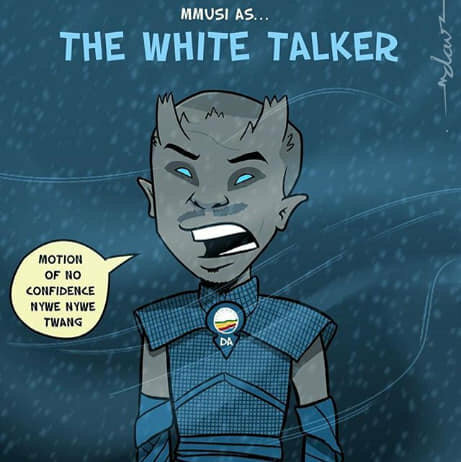 Jacob Zuma, Cyril Ramaphosa, Julius Malema and Mmusi Maimane get reimagined as Game of Thrones characters. It's officially Game of Thrones season, with the show's eighth season premiering today. 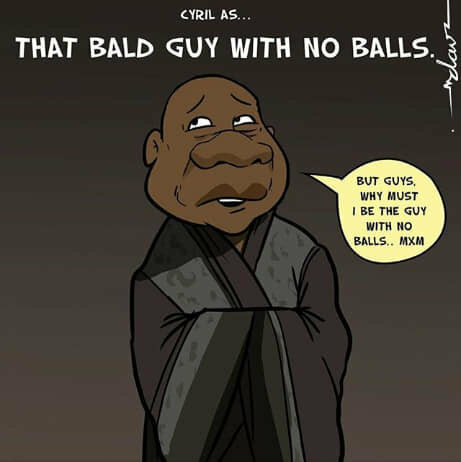 In a mini series of sketches, South African illustrator Dav Andrew imagines South African politicians as characters from the popular series. Politics is literally a game of thrones, and plays out like a real-life version of the series, more than it should. While the powerful families in the series are playing a deadly game for control of the Seven Kingdoms of Westeros, South African politicians are doing all they can to gain control of the country's nine provinces, especially with the upcoming elections. Blows and harsh words have many times been exchanged in the country's parliament, assassinations have taken place, and the battle is always ongoing. The drama can sometimes be the stuff of legends, novels, movies and, well, series. 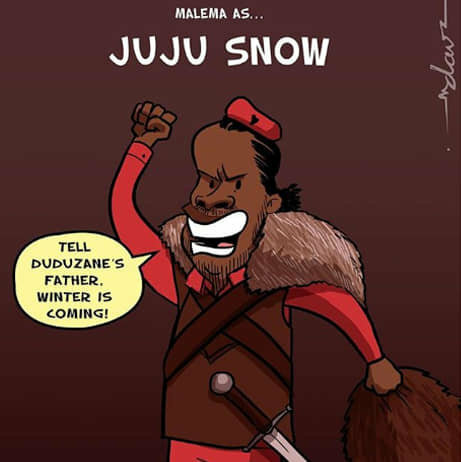 Andrew did the sketches in 2017, and he imagined the country's current president Cyril Ramaphosa as Varys; former president Jacob Zuma as Khaleesi (Daenerys Targaryen); leader of the DA, the country's official opposition, Mmusi Maimane as the verbose Night King, while leader of the EFF Julius Malema is Jon Snow. 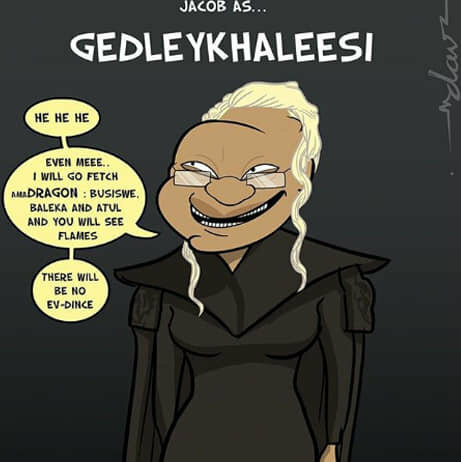 The cartoonist, however, gave his new characters new names that fuse the series' characters names with the politicians' ones. View sketches below, and revisit our interview with Dav Andrew about his work here. Follow Dav on Instagram and Facebook.